The featured fabrics in jiggery-pokery are abacus & Sun Print by Alison Glass for Andover Fabrics. definition: trickery, hocus-pocus; fraud; humbug. 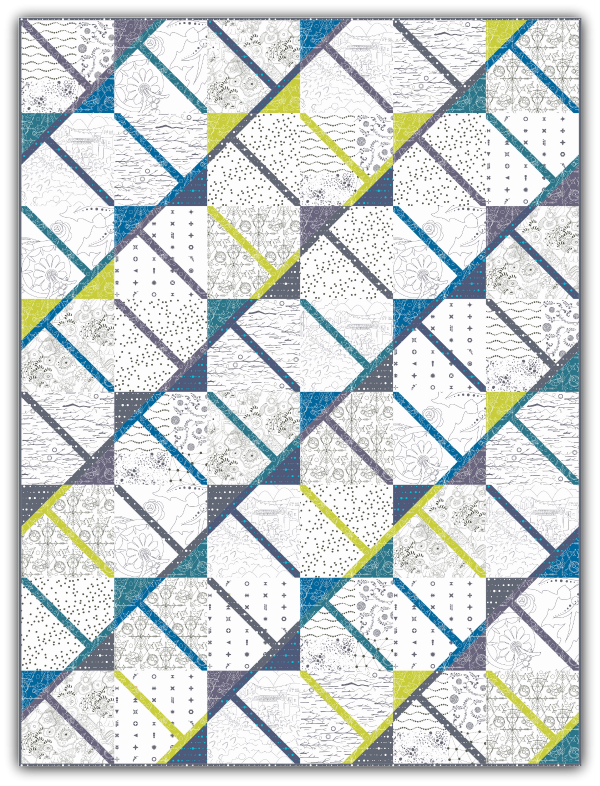 This quilt pattern includes 6 different quilt layouts, hence the trickery! This is a fun, quick pattern. Finished Size will be 54" x 72"